The Twin Lakes Lodge is a secluded B&B located in central NC. This private estate, situated on 4 1/2 wooded acres, overlooks a tranquil lake. 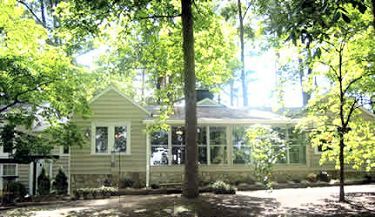 The lodge is located in the city of Greensboro, but the privacy and quietness of the acreage will provide the feeling of being miles from civilization! The three accommodations feature king/queen beds, two-person jacuzzis, summer fireplaces(operational year-round), and lakeviews. 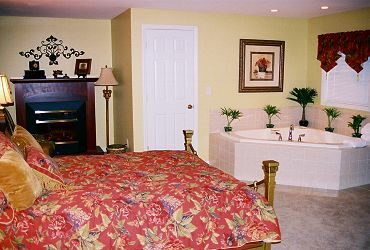 Rooms feature private baths, private entrances, and TV/VCR/CD players. A gourmet breakfast is served in-room or on private decks. Rates are $175-$250/night for double occupancy. Single occupancy and corporate rates are available. All major credit cards are accepted. 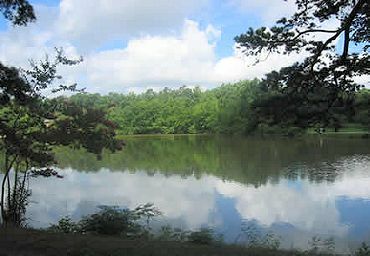 Area activities and attractions include a historic battlefield, the NC Zoo, Seagrove Pottery, noted parks and gardens, and theatres. This B&B offers luxurious lodging and a tranquil escape for business or pleasure travelers. Plan your next stay in the Triad at this private estate!